We know that all good things must come to an end, but we are thankful to God for the sheer abundance of good times we have had these last six weeks. Interacting with and getting to know the Russian kids has impacted each of us in tremendous ways. 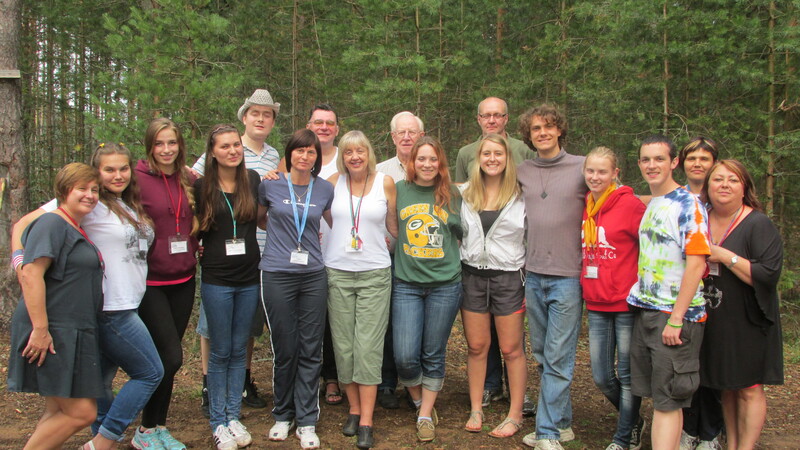 Having said goodbye to all of our new friends at Camp Iskra, we are now in St. Petersburg. In St. Petey we are spending the remainder of our time in Russia with an organization called the Harbor and seeing the city. Our last session at Camp Iskra was filled with lots of fun and memories. We found it easier initially to interact with the kids in many ways because we were significantly more comfortable with them and the camp. Our knowledge of the Russian language was expanded during this session, which was extremely helpful. All of this has helped us to build relationships with many of the kids in our cabins. These relationships lead to meaningful conversations with the older students and lots of fun with the younger ones. Both camp sessions went by in a blur and are already beginning to merge together in our minds. Though the sessions were similar, there were some distinct differences. During our more recent session we felt that the overall English level of the students was not quite equal to that of the first group. This was a blessing in disguise; we were able to pick up some key Russian phrases early on that became quite useful during the second session. The last three weeks presented us with increased opportunity to interact with other campers outside of the English program. We were all pretty amazed that relationships could be formed despite the lack of a common language. Overall the camp was an incredible experience and an opportunity to share love, happiness, and fun. Not only were able to spend more time with the campers, but we also had the opportunity to bond and make memories with the counselors and staff. Some of our favorite times with them happened at the bonfires which took place after the kids had all gone to sleep (or at least should have been asleep). We introduced them to our American style bonfire traditions (marshmallows and dough boys) and they introduced us to theirs (shashleek, rye bread, kartoshkas, and sausages). Not only was there plenty of food, but also lots of laughter and singing. We feel incredibly blessed for the friendships we have made! A few of our friends, in fact, are meeting us here in St. Petersburg to spend time with us and show us around the city. It has been really neat to see how God has been working in and through these relationships during the camp. We have had the opportunity for some incredible conversations with many of the counselors and staff, and even a few of the students. As we were reading in 1 Corinthians 3 we found a passage about God using each person uniquely: one to plant, one to water, and one to harvest. We know that God has been using us to water and plant, even though we haven’t seen the beginning of his work here and might never see the end. Nevertheless it has been both rewarding and inspiring to be apart of God’s work here in Russia. We are writing to you now in St. Petersburg from the guys apartment at the Harbor. We are staying with the Harbor, which is a Christian organization that helps kids coming out of the orphanage system, preparing them and aiding them for adulthood on their own. The Harbor owns flats on the outskirts of St. Petersburg where they have house groups of people for period of time, teaching them tasks like cooking, cleaning, and budgeting. We have the incredible opportunity of spending time with some of the young women and men while living with them in two of their apartments. We had meals with them last night and today and have already enjoyed getting to know them and testing out our newly learned Russian conversation phrases. We toured the city with a few friends from Iskra today, which of course, was amazing. St. Petersburg is more European in style than Moscow, and we all agreed that the atmosphere in St. Petersburg is friendlier than in Moscow. We are enjoying a little bit of rest after six weeks of camp, but are looking forward to seeing all of you when we get back! Team Russia at our Shashleek barbeque with the camp administration and some of the counselors.